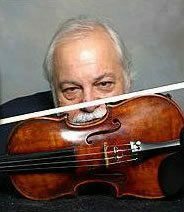 Born in Uruguay, Federico Britos began playing violin at age five. Serving as principal chair, soloist and ultimately Concertmaster with some of the great symphony orchestras of Uruguay, Venezuela, Peru and Cuba. He was also Concertmaster of the Miami Symphony Orchestra for seven years and of the Ars Flores Orchestra. Federico has, from his earliest years, kept his musical ears wide open. He not only enriches his palette with the unique rhythms and melodies of Latin American music, but also has voraciously absorbed the sounds of North American jazz and popular music.